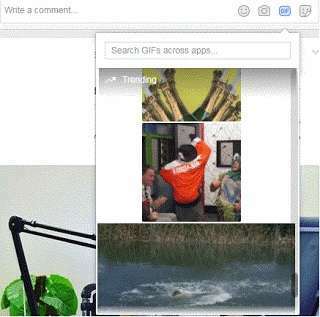 Facebook is updating features and recently added GIF creation by users. Social media has instantly flashed this feature. GIF is important for Social Media. Twitter has already added GIF features to your tweet. You can opt. It is as per your content relevancy. This is very effective to attract people to your content and get more comments and likes by GIF images. GIF Button In Facebook Comment Section. GIF images create humor, emotions, increase the value of content. Facebook has not added these features. Now they know that GIF is also important as images. Both are a very important language to express the views of users and senders. Previously users express his views to write the content and create statement only, now they add the clip of GIF to approach more effectively. Presently these features are available on iOS only as well as provided some people. Extended for all in the coming future. When users swipe to open the camera on the right side then they can see this new GIF features. You can also use frame and effects. When you make GIF images, you can save in your device, post on profile and facebook story. GIF creation is the best way of expression. You will make your own GIF and improve creativity. This is the good start of facebook for users. This is the creation of Giphy.com and you can start to make your own GIF easily.